UV light is invisible to the naked eye but capable of causing both short term and long term harm with exposure. Ultraviolet radiation can cause chemical reactions and cause many substances to glow or fluoresce. We are finding more and more applications not just in more generic industrial printing and manufacturing where UV is used, but in conservation and museums, art galleries and even domestic lighting where people who are light or uv sensitive are adapting windows and lights to improve their quality of life by reducing uv exposure. 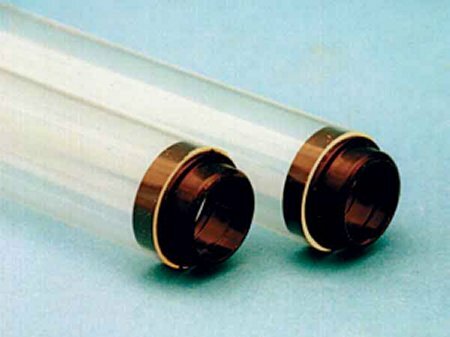 We have several types of filter sleeves, sheets and rolls of UV films available including rigid acrylic sheets, flexible films and rolls with either adhesive or non-adhesive backings, screens, and tube suitable for a wide range of florescent tubes, PL style lamps and also have a range of light reduction filters that can be used in combination with UV filters. UV System Spares, Fans, Switches etc.